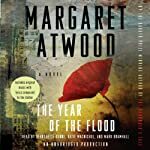 I recently started listening to the audiobook version of MaddAddam but then stopped after the first disc. 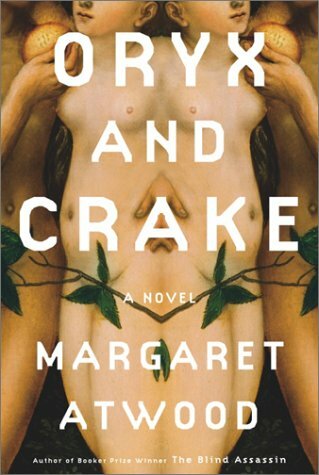 I had read Oryx and Crake when it first came out 11 or so years ago (as well as The Year of the Flood when it first came out), and I realized I needed a refresher in Margaret Atwood’s trilogy — who was this Snowman again? What was his relationship to other characters? So I went back to Oryx and Crake, as read by Campbell Scott, which is a rather simple story. A man nicknamed Snowman appears to be the last human in a post-apocalyptic world. He has been left to care for genetically modified humanoid creatures amid a ravaged landscape – no electricity — that has been taken over by other genetically modified creatures that have gone wild: giant and smart pigoons (pigs with human cells), and the friendly and sweet looking dog-like creatures that are actually fierce and killer wolves deep down inside, thus the name wolvogs.